Indian cricket team fight back after the big defeats at Edgbaston and Lord's. Indian team is trailing 2-1 in favour of England with two matches still to be played. 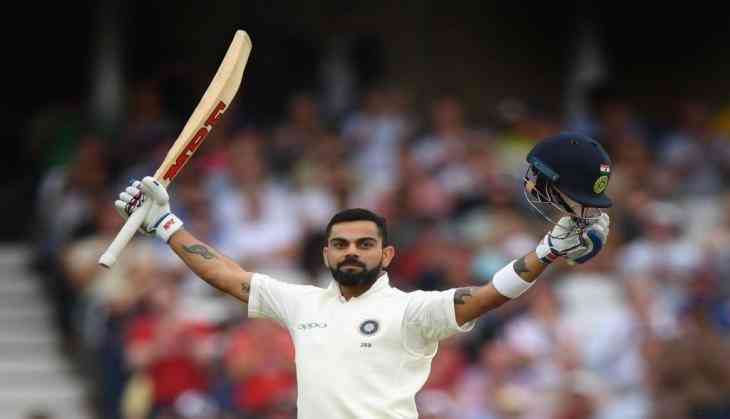 Earlier, the Australian skipper Steve Smith was at the top ICC Test Rankings and Virat Kohli was slipped down to No.2 with scores of 23 and 17 in the second Test at Lord's. According to the ICC release Indian skipper Virat Kohli cited that "now only one point outside the top 10 of an all-time rating points list: Don Bradman (961 points), Steve Smith (947), Len Hutton (945), Jack Hobbs and Ricky Ponting (both on 942), Peter May (941), and Gary Sobers, Clyde Walcott, Vivian Richards and Kumar Sangakkara (all on 938 points)." The stars of India's win in the third #ENGvIND Test make big gains on the @MRFWorldwide ICC Test Rankings charts. Virat Kohli (Captain), Shikhar Dhawan, KL Rahul, Prithvi Shaw, Cheteshwar Pujara, Ajinkya Rahane (vice-captain), Karun Nair, Dinesh Karthik (wicket-keeper), Rishabh Pant (wicket-keeper), R Ashwin, Ravindra Jadeja, Hardik Pandya, Ishant Sharma, Mohd. Shami, Umesh Yadav, Jasprit Bumrah, Shardul Thakur, Hanuma Vihari.